New images show Iranian-constructed factory in Syria bears striking resemblance to Iran's Parchin facility. New satellite images showing that Iran is building a missile factory at Wadi Ghanam near Masyaf, Syria, Channel 10 reported. The images, published Thursday, were taken by ImageSat International (ISI). The factory will produce surface-to-surface missiles and is expected to be completed in early 2019. 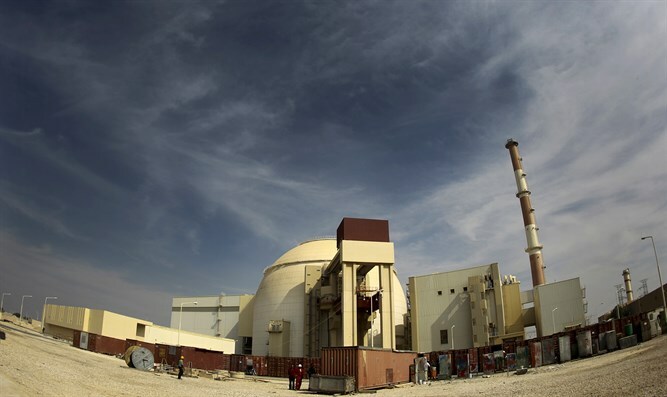 It appears similar to the nuclear facility in Parchin, Iran. Earlier this week, Iranian Defense Minister Amir Hatami, signed an agreement with Syria's Assad government, expanding cooperation between Damascus and Tehran.